When We Should Have Some Drink? The fact is drinking wine at wrong time may lead to serious problems related to health like stomach ache, heart diseases and other diseases. To avoid this, we shouldn’t drink wine when our stomach is empty because an empty stomach will speed up alcohol absorption. It is better to pair wine with food because alcohol can stimulate the appetite. When alcohol is mixed with food, it can slow the stomach’s emptying time and reduce the absorption rate of alcohol. Therefore, dinner time would be a perfect time to have your drink. 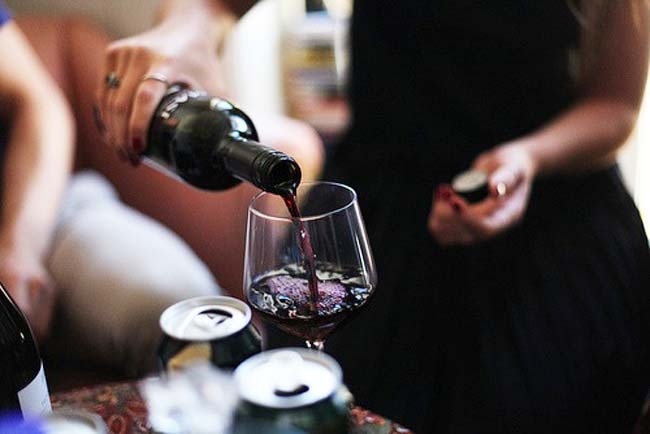 In addition, we shouldn’t drink wine at time closely to the bed time because wine may give you a restless sleep and being tired the next morning. You should have your drink before bed time at least 3 hours. In conclusion, wine is not a poison but it is a double-edges sword. Wine can be healthier or harmful to our health. It depends on how you drink it. Therefore, you should have your drink in moderation. Furthermore, there are some individuals who should avoid alcohol drinks including wines and beers. Just be smart with your drink.